The Frenzy Tackle Rigged Ballistic Flyers are deadly on tuna with their 4X strong treble hook and 130lb leader. 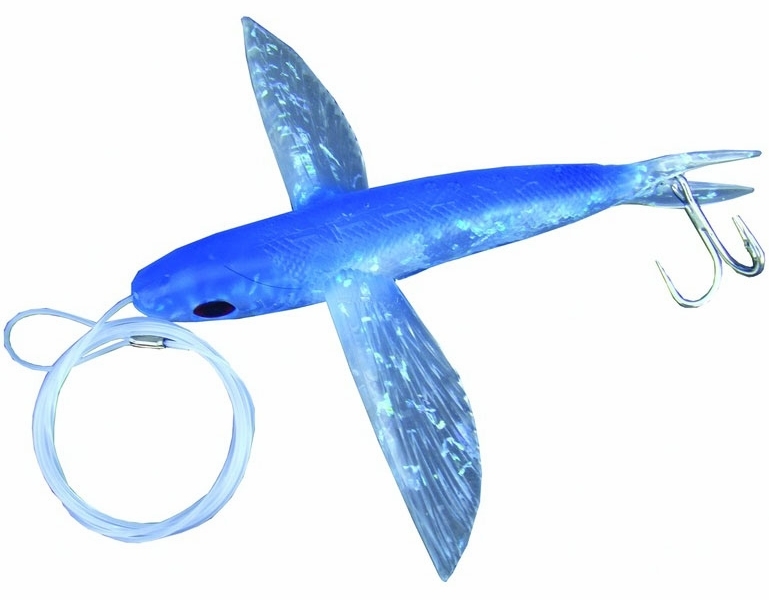 The Frenzy Tackle Rigged Ballistic Flyers are absolutely deadly on tuna, dolphin and more! They feature a 4X strong treble hook and 130lb leader so you know that they will get the job done whether you troll them right off of the rod tip or under the kite. Available in two sizes, you will be sure to match the hatch depending on the size of the flying fish typically found in your local waters to help start a feeding frenzy! Looks and feels real. Can�€™t wait to try it.